It is thirty years since Margaret Thatcher's government unleahed the police on Britain's miners, and two films now going around, 'Pride' and 'Still the Enemy Within' recall that year of struggle. "The Enemy Within" was of course the expression Thatcher used about the miners, and we now know she intended to use it about the miners and the Labour movement in a public speech if the IRA Brighton bomb had not caused a slight change of plans. Seems ironic that Thatcher had been briefed this way about Neil Kinnock and his advisers, while Kinnock was listening to those who said the working class and its struggles were over. Thatcher is dead, but the struggle against the forces she represented goes on. The exposure of how police, press and prime minister lied about Hillsborough has spurred the demand for truth about the Battle of Orgreave. 'Still the Enemey Within' challenges us to look again at our past so that in the words of one miner, “we can still seek to do something about the future”. In 'Who Killed Blair Peach? ', David Renton takes up the thread of politics, police brutality and lies from the past, not thirty but thirty five years ago, to be precise, St.George's Day, April 23, 1979, just over a week before the general election which brought Thatcher's Tory government in. James Callaghan, former Home Secretary, and before that Parliamentary Adviser to the Police Federation, was still prime minister. Merlyn Rees was Home Secretary. In Southall, west London, an area whose large population of Asian origin had become used to fighting off racist attacks, the far-right National Front had booked the town hall for a meeting. People had tried petitioning the authorities to stop the National Front coming to Southall. On the Sunday, April 22, 5,000 people marched on Ealing town hall with a petition signed by 10,000 urging the local authority to deny the NF the use of council premises. When the protesters encountered a bunch of young white racists shouting abuse, police arrested a young Asian lad who'd sworn back at the racists. On Monday, April 23, many shops and businesses on Southall High street closed for the afternoon, and several factories in the area were also shut by workers walking out to join the protest against the fascists. People thought they could block the streets to stop the NF reaching the town hall. Anti-fascists, supporters of the Anti-Nazi League from other parts of London were coming to reinforce them. But the police, several thousand of them, with armoured vehicles and including members of the Special Patrol Group, took control of the centre of Southall. 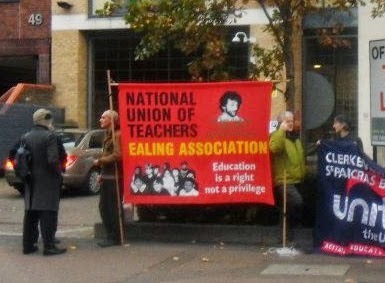 Blair Peach, a New Zealander teaching in a special needs school in London's East End, elected president of the East London Teachers Association in 1978, a member of the Socialist Workers Party and active anti-racist, had gone to Southall that evening with a group of friends. As the police forced a way through the crowd for a bus carrying the National Fronters, he found himself among demonstrators pushed into a side street, Beachcroft Avenue, police coming after them. This offered no chance to retreat much further or disperse, as it only led into Orchard Avenue and then back onto the Broadway. Several people saw Blair hit on the back of his head by a policeman, in Orchard Avenue. He slumped to the ground. A family who found him outside their house, dazed and injured, took him inside, to lie on their sofa, and phoned for an ambulance. In hospital Blair was taken into intensive care, but despite surgery he died at 12.30 a,m on April 24, as a result of a fractured skull. How Blair Peach was killed, and who by, is not a secret. On the day before his funeral his body lay in state at the Dominion cinema in Southall, and thousands queued to pay their respects. In the years since people have commemorated his life and campaigned for justice for Blair Peach. Yet in these same years the deployment of fully-equipped riot police has become common, the police have acquired more gear and greater powers, and they have claimed more victims. As Susan Matthews, the mother of injured student demonstrator Alfie Meadows, writes in an introduction to this pamphlet, "... when I spoke live to the BBC World at One on 10 December 2010 after a night spent waiting to discover whether emergency brain surgery had saved the life of my 20-year old son, I found myself speaking about the death of Blair Peach". Yet an inquest on Blair Peach in May 1980 reached a verdict of "death by misadventure". Dave Rention came into anti-racist politics in his youth, the days of Rock Against Racism, and was impressed by the Battle of Lewisham. But Dave is also a barrister, and I'd say a good one, judging by the way I saw him demolish the representatives of a major construction company, in a test blacklisting case. Besides carefully assembling the facts about what happened in Southall with the help of witnesses, he skilfully takes apart that 1980 inquest. First, there was the reluctance of the coroner. John Burton, to have a jury hear the case, something only obtained in the Court of Appeal. Then there was his blatant bias, shown by constantly interrupyimg those acting for Blair Peach's family or the Anti-Nazi League, and his later memo to the Home Office claiming the National Front and the police were blameless, and Asian witnesses were unreliable. Above all, neither Burton nor the police, whose representatives cross-examined witnesses, disclosed the police's own Cass report,which would have backed what those witnesses were saying, and made nonsense of Burton's assertion that blaming police was an "extreme" theory, on a par with suggesting one of the demonstrators might have killed Peach to make him a martyr. It was not until April, 2010, that Commander Cass' report was published. The officer makes clear he had little sympathy for Blair Peach's suppoters, saying his funeral had been "akin to a political demonstration with left-wing political elements most prominent". But his report goes on to describe how police in vehicles had gone into Beachcroft Avenue in pursuit of demonstrators, how SPG officers had dismounted to attack people, and how a Professor Bowen who carrried out the initial post-mortem thought Peach might have been struck with a police radio. Though inclined to be skeptical about civilian witnesses - more than a dozen of whom had seen police striking Blair Peach, Cass accepts that Mrs.Balwant Atwal had given an accurate account of what she saw. He concluded "it is now obvious that the officers concerned were Special Patrol Group". Perusing the reports by Commander Cass and his team, Dave Renton shows how an Inspector Murray of the SPG had left his vehicle at exactly the spot where Mrs.Atwal saw an officer strike Blair Peach. This officer initially lied about it, and he further troubled Cass by having had a row with TV crew further along the road. "Officer E was not as cool as he should have been , and the strain was showing. ...he has not given a credible account of his movements, and it s disturbing." On June 1 , 1980, having resigned from the Metropolitan Police, Inspector Murray gave an interview to the Sunday Times, in which he referred to the Southall demonstrators as the "loony left". and said the protest had promised to be a "tasty one". Boasting how he and his mates had been able to act on their own initiative, he reckoned he could always spot the ringleaders and "nasties" in a crowd. Nobody who knew Blair Peach would recognise anything nasty or violent about the quiet New Zealander who worked patiently with vulnerable children. Whereas we can recognise a recurrent pattern of nastiness such as led to Blair Peach's death and the dishonesty of the inquest. In 2009 Ian Tomlinson was struck down by an officer of the Territorial Support Group, the successor to the SPG, during the G20 protests. Though this time the inquest recorded a verdict of unlawful killing, the officer was acquitted. In the case of student Alfie Meadows, a story was put around that he was hit a lump of concrete thrown by a fellow protestor, though there was no evidence for this. From kettling to declaring protests illegal, police seem to keep discovering new powers for themselves on top of those they are given by parliament. As for new toys, they have tasers, and in July the Met received its first water cannon. 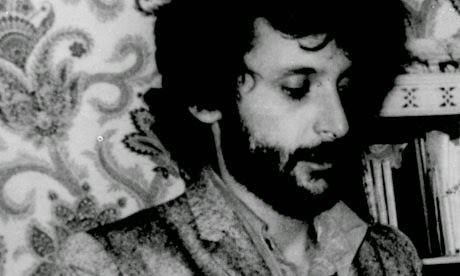 Dave Rention, and Defend the Right to Protest, believe that demanding a new, proper inquest into the death of Blair Peach is important, not only for upholding Blairs memory, and forestalling any attempts to befog the truth and revise history, but to raise awareness and consciousness about the threat to our rights today. Who Killed Blair Peach by David Renton, is available for £2.60 (inc. post and packing) from Defend the Right to Protest. Thanks for that trip down a still disturbing memory lane.